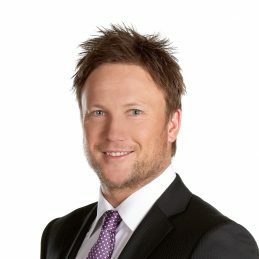 Nathan Brown is a highly popular radio and television sports presenter and a former AFL champion, playing for Richmond and the Western Bulldogs. He played a total of 219 senior AFL matches and kicked 349 goals. Recruited from Golden Square and then the Bendigo Pioneers in the TAC Cup to the Western Bulldogs in the AFL, Brown made a name for himself as a dangerous medium-sized forward. He played with the Bulldogs from 1997 to 2003, where he won the goal kicking twice and then crossed town to Richmond in the prime of his career. In round 10 of 2005 while leading every award in the AFL, Nathan succumbed to a shocking broken leg, which ended his season. Nathanhas a number of achievements and accolades to his name. Morrish Medal Winner 1996), All Australian (2001 & 2002), International Rules Series (2000, 2002, 2003, 2004 including Jim Stynes Medal in 2004), 100 Tiger Treasures “Goal of the Century” Nominee (2008). In November 2009, he announced his retirement from the AFL after realising a persistent groin injury would not stand up to another season of AFL football. In 2010, Brown joined The Sunday Footy Show as a regular panellist and Triple M as an AFL commentator. In 2014, Brown was lured to and is part of the Nine TODAY Show as a sports presenter. He also added hosting NINE’s Future Stars to his resume in 2015 and became a large and important part of the 3AW AFL commentary team, as well as filling in for their various Sports shows across the network. It was 2015 when he also joined Sportsbet as a Brand Ambassador. 2017 saw Nathan move back to Triple M where he forms part of the AFL commentary team. Brown is married to Kristine Fabiyanic and they have three daughters, and a son. Together, Nathan and Kristine have a business called Scent of Home (SOH), a beautiful collection of highly concentrated, 100% soy, coconut and almond oil wax candles. Made from only the freshest, natural ingredients. He is an excellent selection for an MC or Keynote.